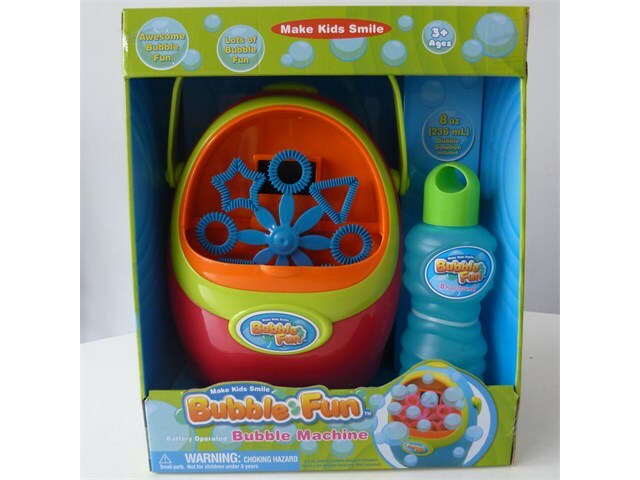 Engage and delight children and older learners alike with this brightly coloured and entertaining switch adapted bubble machine. Great for cause and effect activities as well as general good fun! Simply fill the machine with bubble solution as directed in the instructions and plug in any 3.5mm switch (not included) and press and release it to activate the bubble machine. 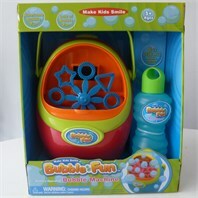 Please note that the colour of the bubble machine may vary. Includes 236ml of bubble solution to get you started. Requires supervision at all times.